Your ex-spouse may choose to file bankruptcy if they can’t keep up with the debt payments and other financial obligations. However, their bankruptcy doesn’t protect you unless you file as well. 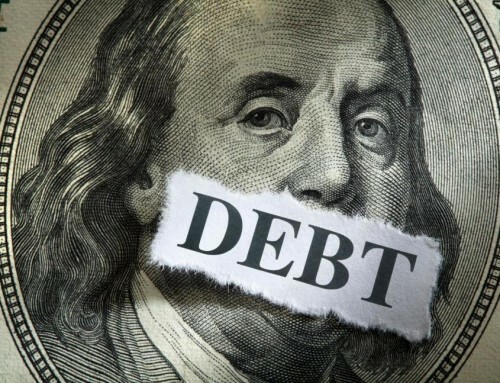 In fact, things could get worse for you when one ex-spouse files bankruptcy to eliminate a debt that is joint; those debts aren’t erased in bankruptcy court. Instead, bankruptcy wipes out that person’s liability for the debt. The creditor will pursue the remaining debtor, the one who didn’t file bankruptcy, for the full amount of the debt. Sometimes, the bankruptcy could erroneously wind up on your credit report, even though you weren’t the one who filed bankruptcy. Be careful about leaving joint accounts opened after the divorce or even leading up to it. A credit card or line or credit left open is dangerous. Your spouse can transfer balances from their own accounts to accounts that you hold jointly. Or, they can run up the balance leaving you to pay for the purchases. In the case of authorized user accounts, the creditor only holds the primary account holder responsible for the debt. However, non-payment on the account could affect the authorized user’s credit history since the account is listed on their credit report as well. A simple phone call can resolve authorized user issues. To protect your credit, you may choose to pay off the debts yourself and go back to court to have your ex-spouse repay you. This might be expensive, but it’s the alternative to losing your good credit. Realize that if you pay off those debts, you may never get the money back from your ex-spouse, even with a court order. Alternatively, you can file bankruptcy, but consider it carefully since bankruptcy remains on your credit report for 10 years.